It isn't summer until you've had a few fruity beverages. Cold watermelon drinks are a classic option, and once you've had one, it isn't hard to see why. 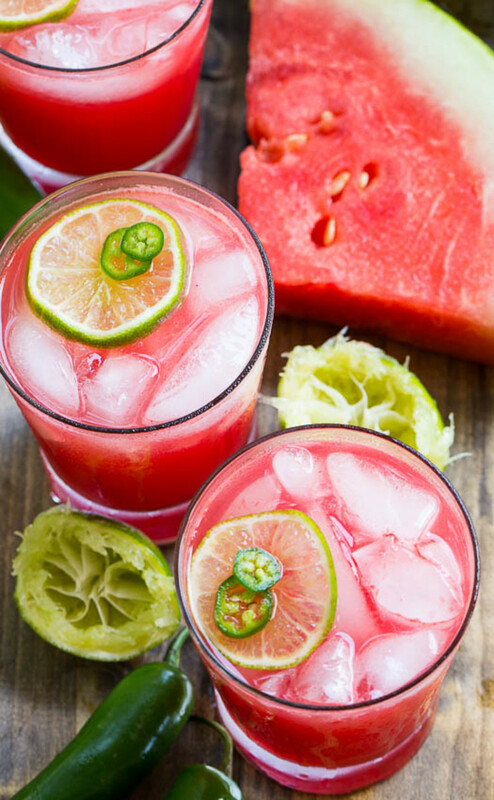 From watermelon lemonade to watermelon Moscow mules, there are a host of watermelon drinks to keep your thirst quenched all summer long. 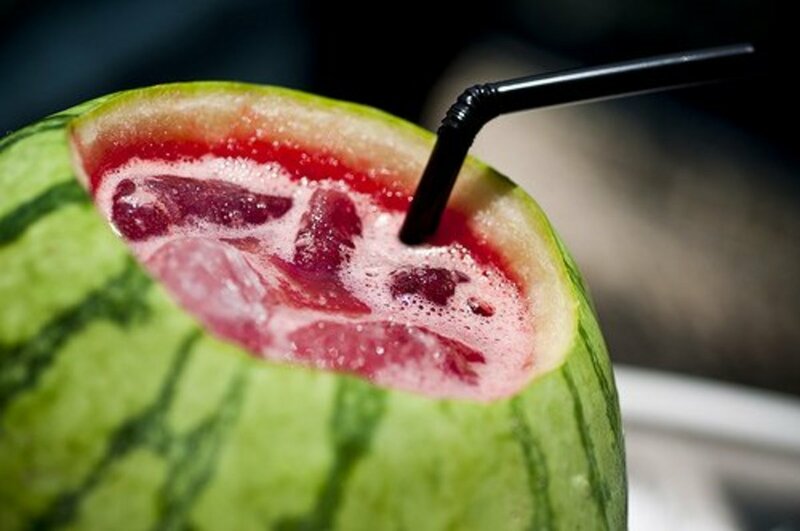 There are a couple popular ways to serve watermelon drinks that will take your party to the next level. The first way is a hollowed out watermelon. If you're using fresh watermelon for your recipe, make sure to slice the watermelon in half neatly and then reserve one of the halves to fill with the finished beverage. 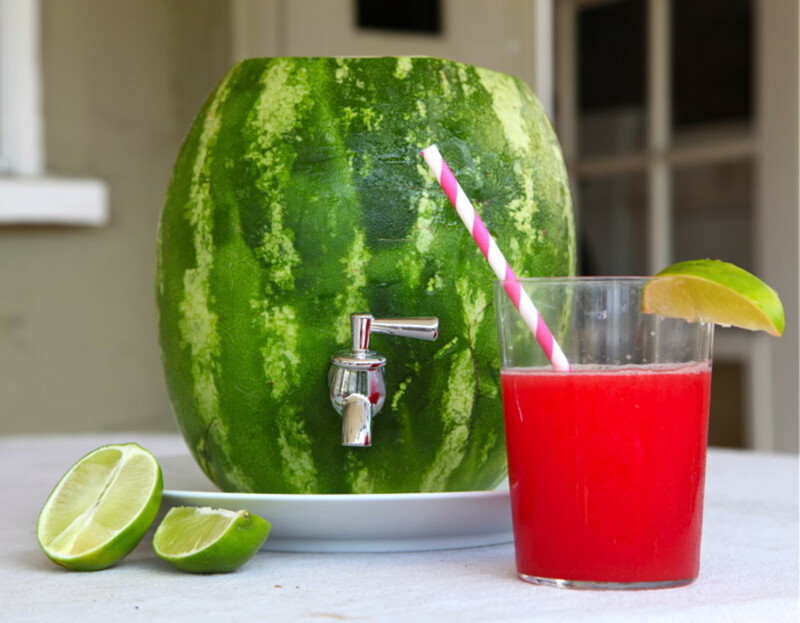 The second way is a watermelon keg. They're all the rage these days, which means that you may have seen them at parties or at least seen pictures of them on Pinterest. You can take the spigot off a drink dispenser with a spigot that unscrews or you can purchase a spigot or dedicated melon tap (see right). The concept may seem a bit overwhelming, but there are lots of detailed step by step instructions available online. Once you've made a couple of them, you'll be very comfortable with the process. Get started with a tutorial from Good Housekeeping. Watermelon juice on its own is very sweet. Combining it with lemon or lime juice cuts the sweetness, creating the perfect refreshing blend for warm weather. If you always make watermelon lemonade or limeade, switch up your routine and try the other fruit for a change. Add a few citrus slices to the pitcher and/or the serving glasses. 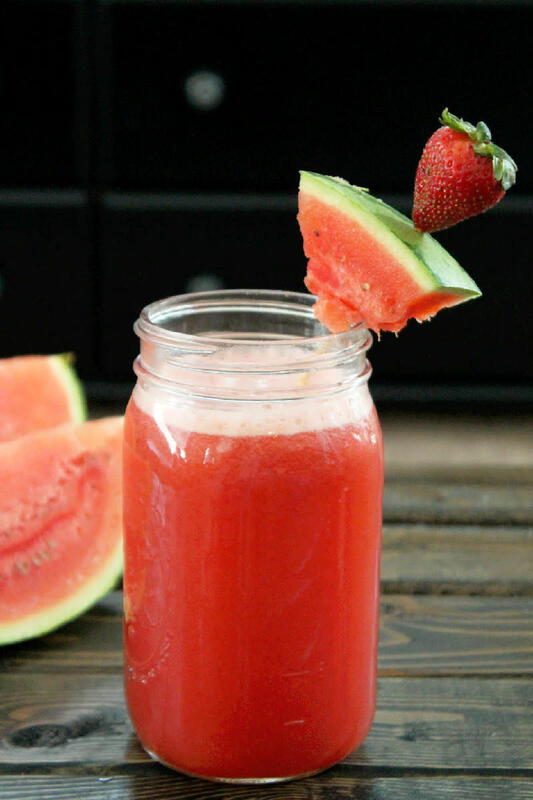 Grab the recipe for watermelon lemonade from Cooking Classy and watermelon limeade from Brown Thumb Mama. Take it up a notch with some seltzer and/or mint and add wine, rum, tequila, or vodka to make it alcoholic. 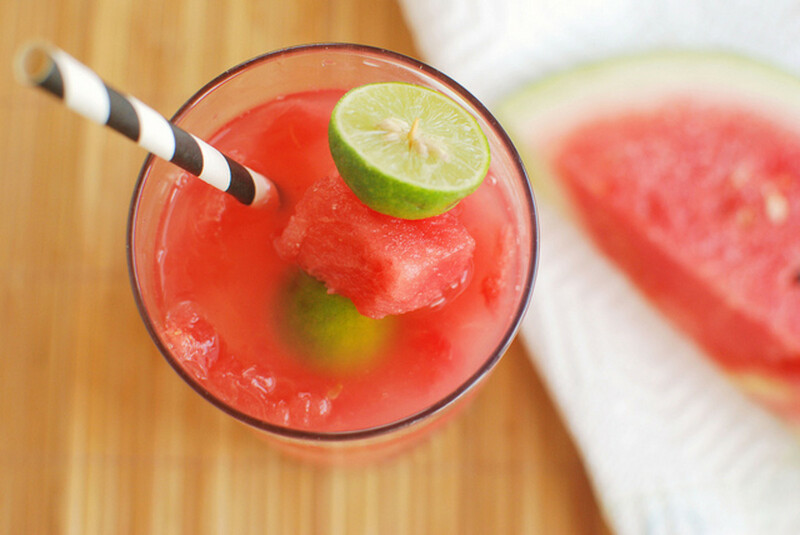 A watermelon breeze is the ultimate refreshing summer drink. 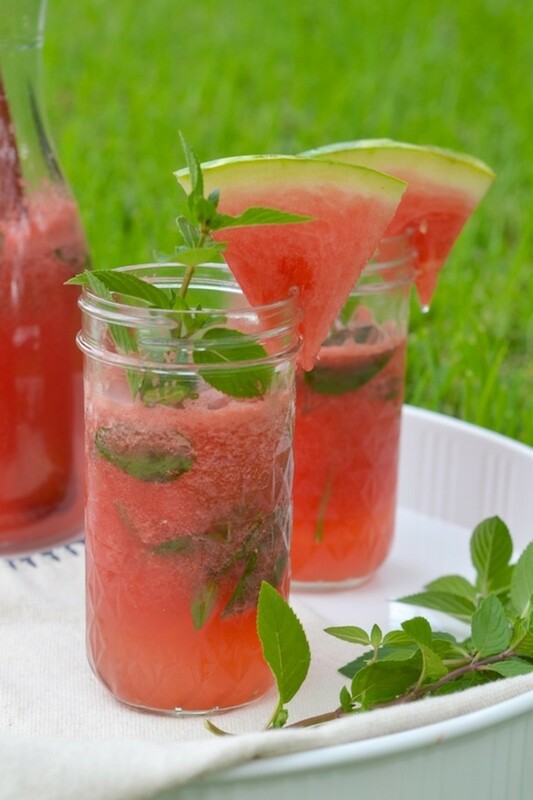 Nothing says summer quite like watermelon and then you mellow it out with coconut water or pear juice and a little bit of lime juice and mint. Make sure to garnish your drink with a lime wedge and mint sprig. 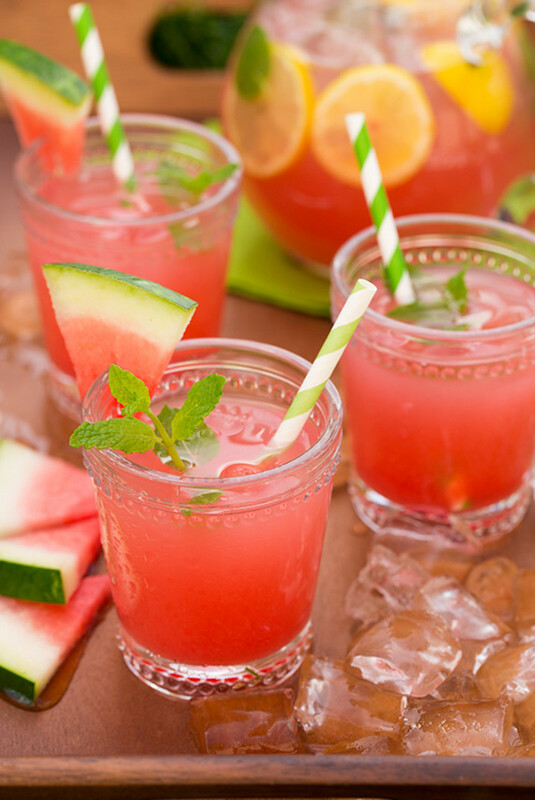 Grab watermelon breeze recipes from DDG Daily and Tried and Tasty. If you enjoy slushie drinks from convenience stores and fast food restaurants, try making one for yourself this summer. The only ingredients that you need are watermelon, ice, and sugar. Combine the ingredients in a blender until smooth and serve immediately. If you want to make your slushie a little tangy, add lemon or lime juice. If you want to make it alcoholic, add vodka. 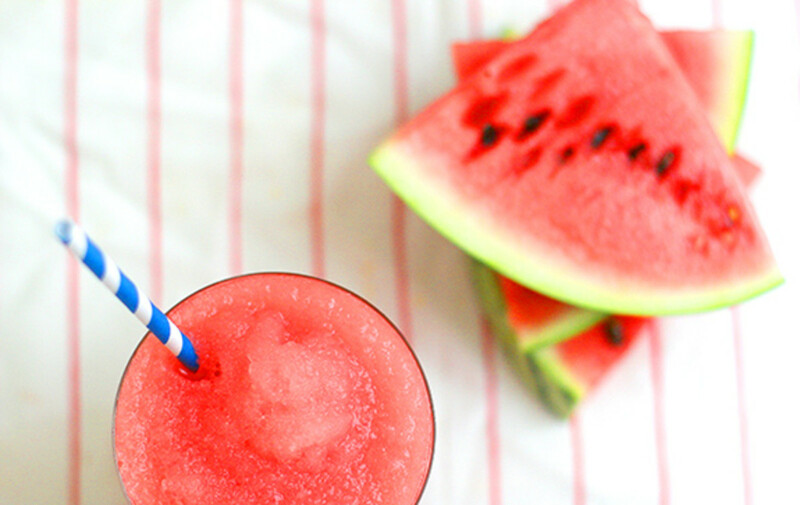 Try watermelon slush recipes from Damn Delicious and Say Yes. An agua fresca is very similar to a slushie. 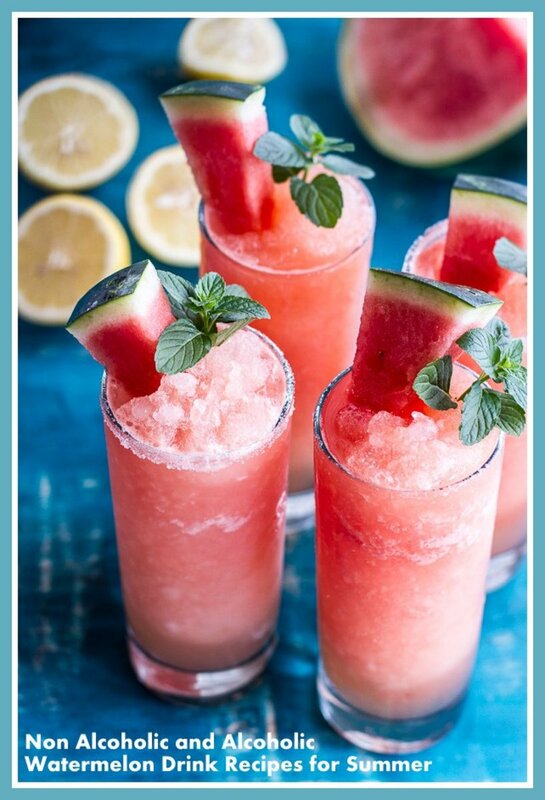 The differences are that after you blend the watermelon, you strain it (as opposed to leaving it unstrained), and you serve it over ice (as opposed to blending the ice). Making an agua fresca instead of a slushie or vice versa is a great way to mix things up with the ingredients that you already have on hand. Grab recipes from Babble and Our Best Bites. 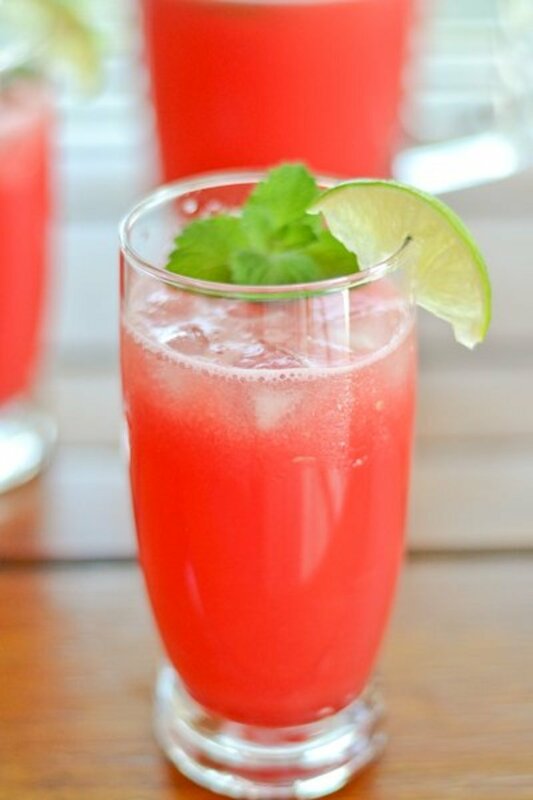 Watermelon punch is a great option for serving multiple people because most recipes are already written to accommodate groups and because you can customize the recipes to suit your personal tastes. For example, if you don't want to use pineapple juice, substitute grapefruit juice or if you don't have club soda on hand, substitute sparkling water or Sprite. 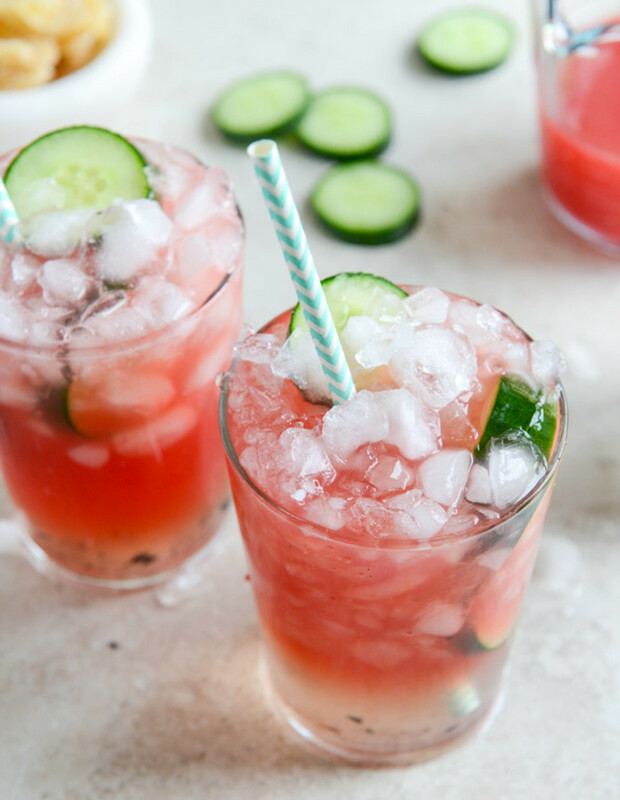 Check out watermelon ginger sparklers at How Sweet It Is or go with a more classic watermelon punch recipe at Hip 2 Save. Do you grow weary of plain water? 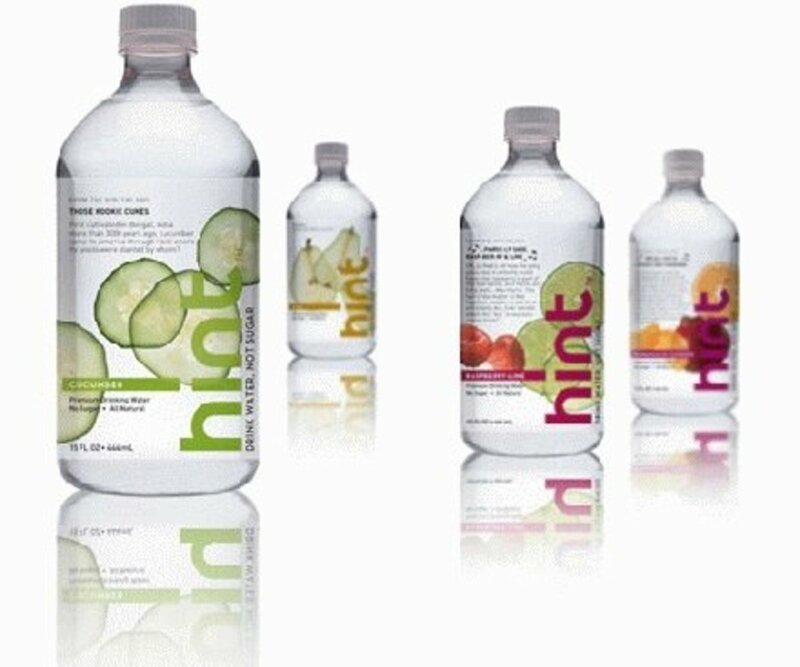 Flavored water is an ideal way to take in your daily water without the harmful sweeteners and sugar that you get with so many commercial sodas and flavored waters. Making your own flavored water is simple and delicious. The best part is that you can customize it to suit your preferences or what you happen to have in the fridge at any given time. The Yummy Life has a great overview of flavored water with lots of different recipes. Do you prefer infused water? 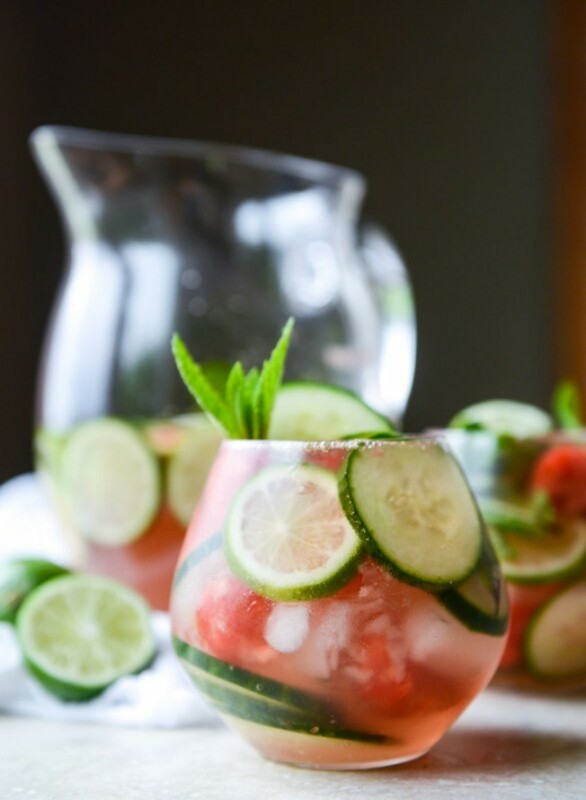 Love and Confections has a recipe for watermelon infused water. The key to making a watermelon mojito with the right balance of flavors is to muddle the watermelon with the lime juice before adding the mint, rum, ice, and ginger ale. Don't muddle the mint unless you really like a strong, almost bitter, mint flavor. If you prefer a lighter rum over a white rum, opt for coconut rum. 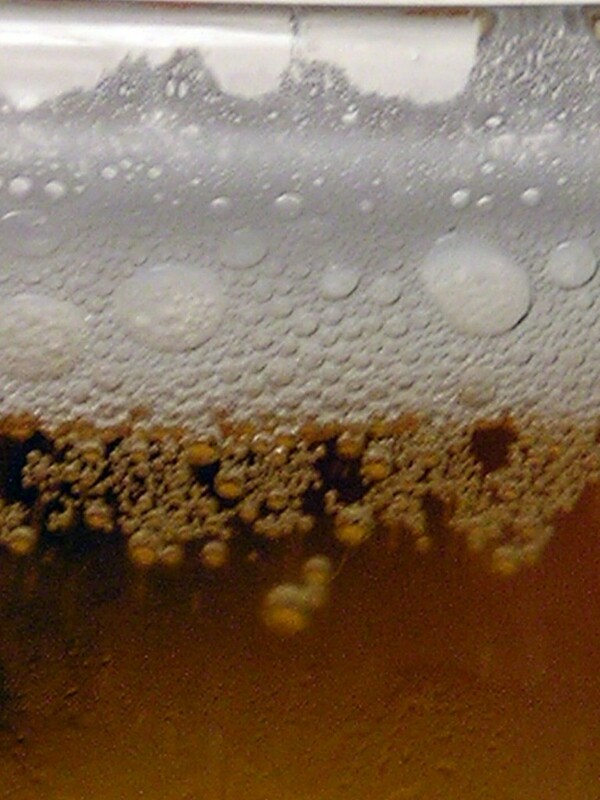 You can also substitute another light soda for the ginger ale, such as club soda or Sprite. Check out the recipes at the Food Network and Menu Musings of a Modern American Mom. One of the best parts about sangria is that it is so versatile. Some purists believe that it's not sangria unless it has a strong red wine base, but many people feel otherwise. If you fall into the latter camp, you can change up the wine and fruit pairings to fit the current season, creating a completely new drink. Of course watermelon is a natural choice for summer. If you want to combine it with another fruit, consider cucumber, honeydew melon, or strawberries. Pick up watermelon sangria recipes at Just Putzing Around the Kitchen and BHG Delish Dish. This summer skip the pre-made margarita mixes, which add a ton of calories and sugar to your drinks. Fresh fruit and alcohol will give you the taste that you desire without those unwanted calories and sugar. There are a lot of great add-ins for watermelon margaritas including strawberry, coconut, and jalapeno. Not surprisingly many people make frozen watermelon margaritas, but of course you can make regular margaritas, too. Head over to And They Cooked Happily Ever After and White on Rice Couple for the recipes. 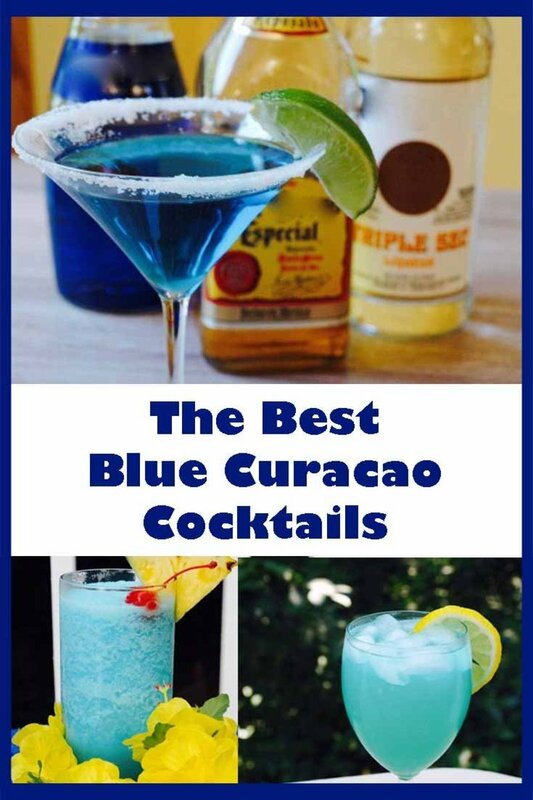 If you're a tequila fan, go with the margarita, but if you're a rum fan, go with the daiquiri. Again, most people make frozen watermelon daiquiris, which is fitting for the season, but you don't need to feel limited to this option. Do you want to indulge a little bit? Top your daiquiris with whipped cream. Grab the classic frozen watermelon daiquiri recipe from Sweet and Savory by Shinee and then head over to Once Upon a Cutting Board to learn how you can make your daiquiris into frozen pops. Are you looking for a drink that's simple to prepare for a crowd but that you can also customize to serve just one person? Whip up a batch of moonshine for your next family barbecue or gathering of friends. The best way to flavor moonshine is to add it right to a jar of finished plain moonshine. 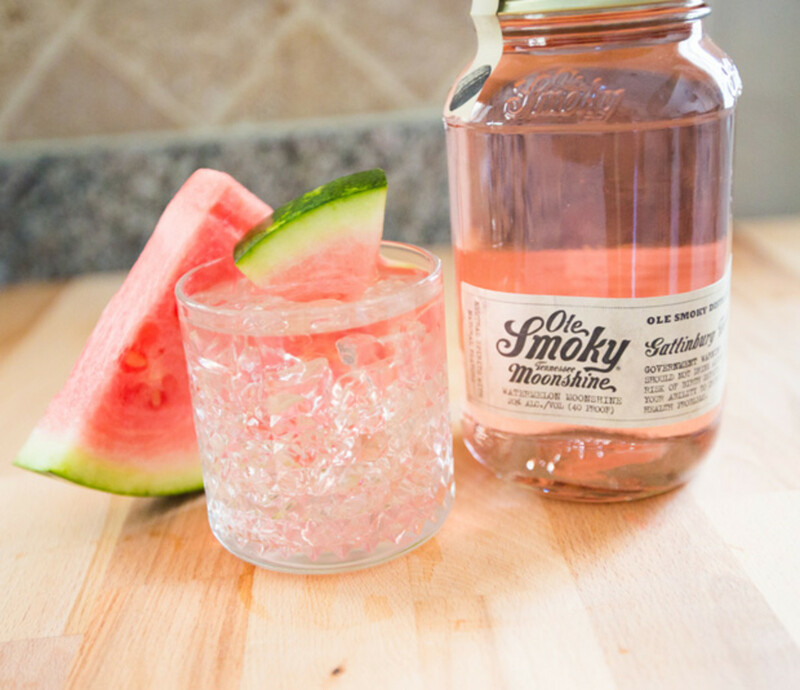 Cut the watermelon into small pieces, add it to the moonshine, and let it sit. This process is more involved than buying a watermelon flavored moonshine or other watermelon flavored alcohol (i.e. vodka), but the taste much richer. Learn more about flavored moonshine at Clawhammer Supply. Moscow mules aren't complete without Moscow mule glasses. Moscow mules have made a major comeback in the past few years, and now you see them everywhere. 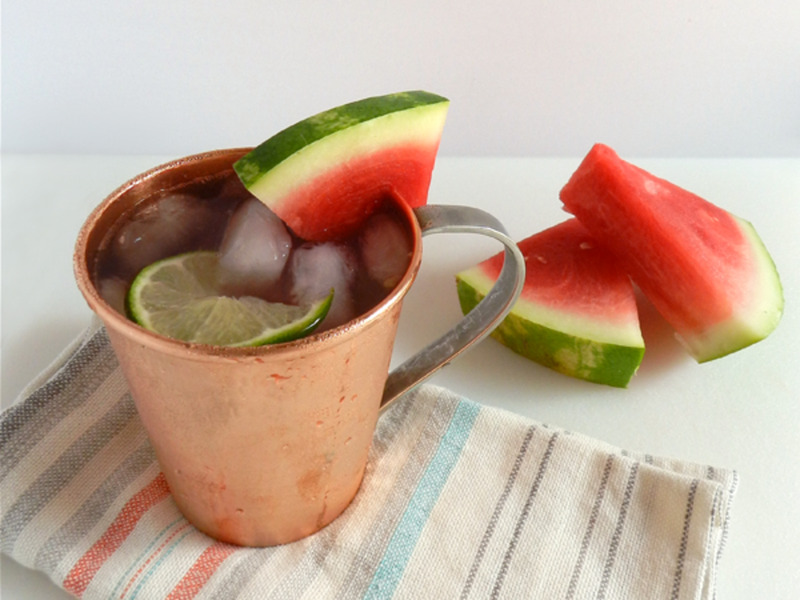 As watermelon is a great pairing with ginger, it works wonderfully in a Moscow mule. 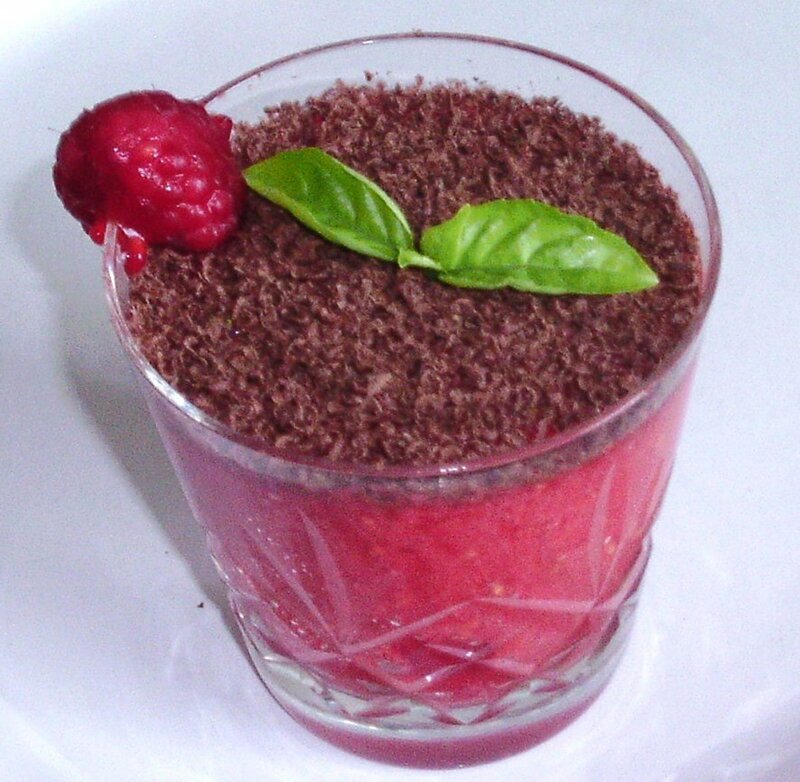 You can easily convert the recipe into a "mocktail" by omitting the vodka and ginger liqueur. Pick up the recipe from I'm Bored Let's Go. Serving Jello shots in watermelon rinds is a great way to reuse the rinds and creates a mess free way to eat the Jello shots. 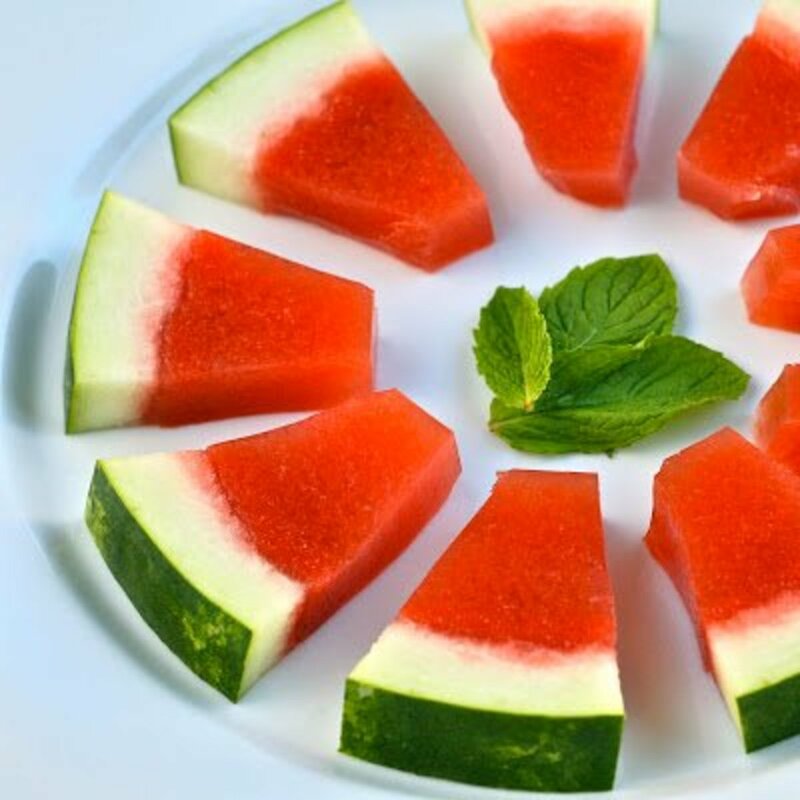 Simply save the rinds when you cut up the watermelon and then load up a shot on each piece. Make sure to allow time for the Jello to set before serving. Get the recipe from E is for Eat. If you'd like to serve an array of Jello shot flavors at your next party, pick up some additional recipes at DIY Ready. Yummy - These look good even with fall coming. They'll give me a taste of summer and I love watermelon! Nice compilation! Watermelon daiquiris! Now we're talking! Yum! Wow! This looks like lots of summer fun. Thanks for the recipes and I'm bookmarking the page. Great hub Rose! 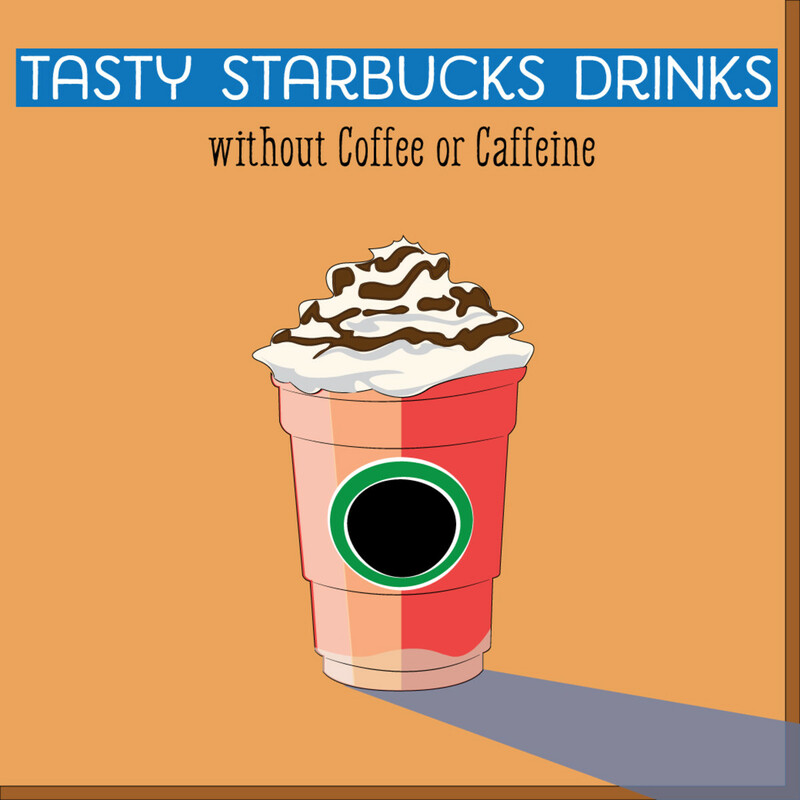 It makes me want to try one! Voted up! 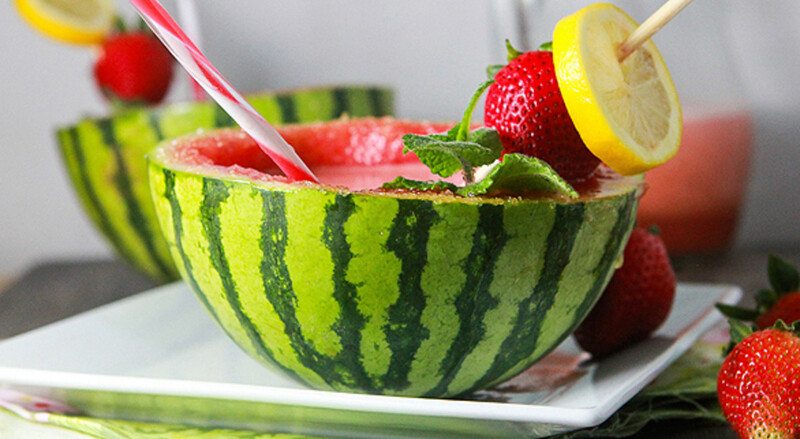 These are some very creative ways to enjoy watermelon. As simple as it is, I can see myself flavoring plain water with watermelon. I would have never thought of that on my own. 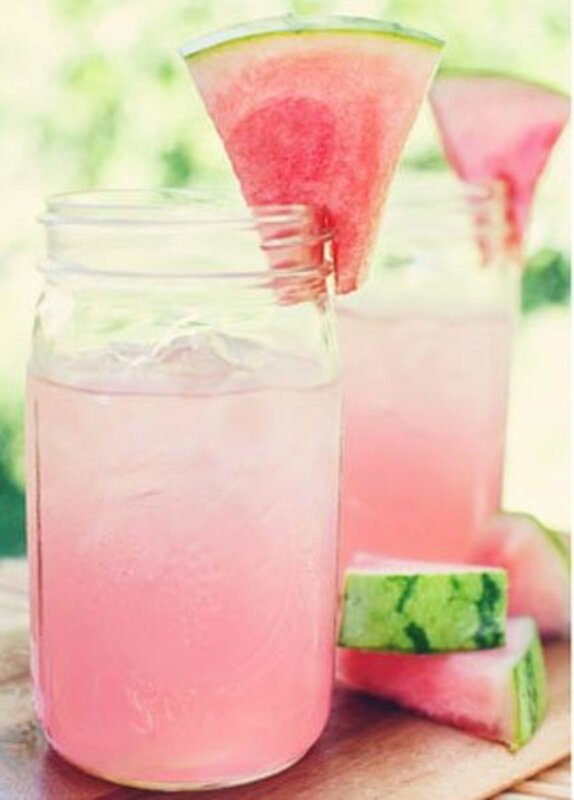 So, thank you for this and all of the clever ideas for watermelon beverages. 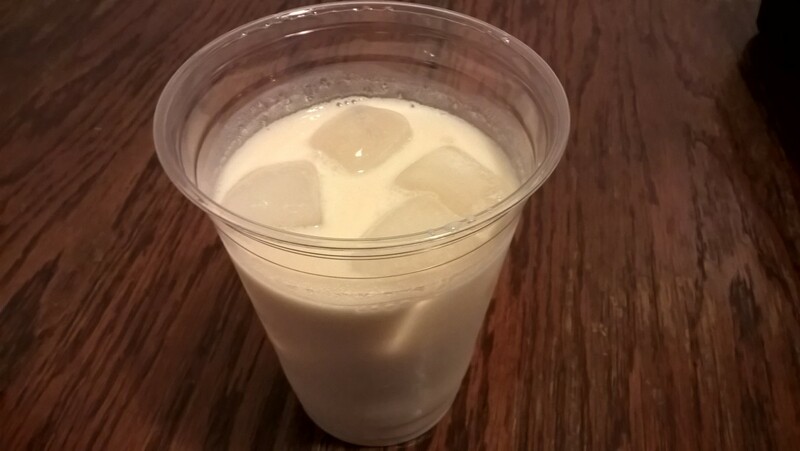 Happyboomernurse, you're absolutely right about drink presentation! Glad you enjoyed. Wow! Thanks for sharing these fun ideas. The photos are beautiful and shows how presentation can take these drinks to being a conversational piece as well as part of the party decorations. I'm so glad to hear it, Margaret! Thanks for the pin!